Three days of fine wine, food, music, art and recreation in the vineyards and neighborhoods of the Russian River Valley. Unique in depth tours, virtual photo contest, live concert, cycling & kayaking, Hog in The Fog BBQ, live and silent auctions and a Sparkling Brunch. Call for more information. 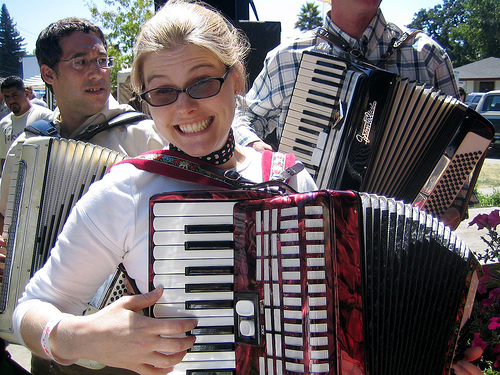 Nonstop live accordion music benefiting local youth organizations. 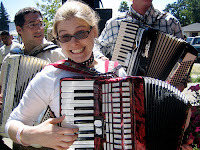 Highlights include dance parties in the polka tent, numerous accordion-related vendors, and the annual "Lady of Spain" ring, including the releasing of the doves. Four stages and over 20 bands. In this classic Sonoma event, the Sonoma Plaza will be transformed into the hottest dance party of the year. Featuring Dave Martin's House Party Band. A benefit for Sonoma Valley public schools. From the restored planes of days gone by to the fully modern machines of today's skies. 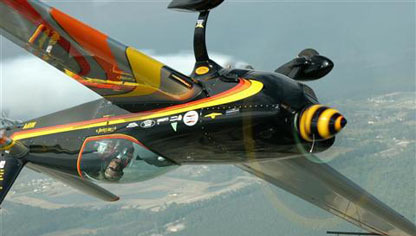 This airshow documents thrilling entertainment on a beautiful California afternoon. The party starts with a wine tasting reception and Farmer’s Market showcasing more than 70 wineries, growers and producers. Then a feast followed by a live auction filled with exciting prizes before the night wraps up with live music by Urban Oasis. The Sonoma County Country Music BBQ will be held on the Great Lawn at the Sonoma County Fairgrounds in Santa Rosa. Dierks Bentley, will headline, Joe Nichols and local star Pete Stringfellow. Choose your barbecue prepared by 15 different artisans who will be cooking up hundreds of pounds of ribs, chicken and tri-tip.